Disclaimer: I don’t have a kitchen aid or stand mixer, so I kneaded my dough by hand. In a small bowl, combine 2 tablespoons luke warm water with a teaspoon of sugar and the yeast. Let this proof for about five minutes to make sure your yeast is still good. 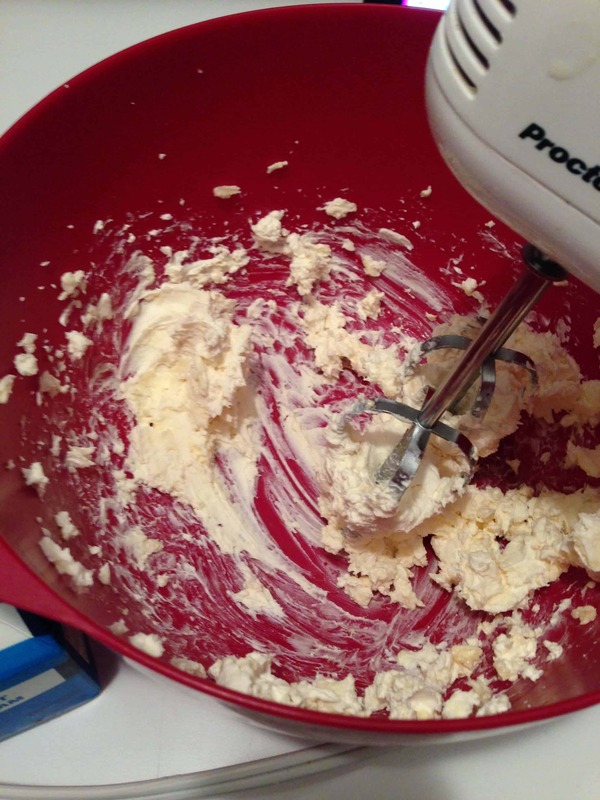 In a large mixer bowl, combine 2 cups of flour, yeast mixture, remaining sugar, and salt. Heat milk at a low power until it is lukewarm. 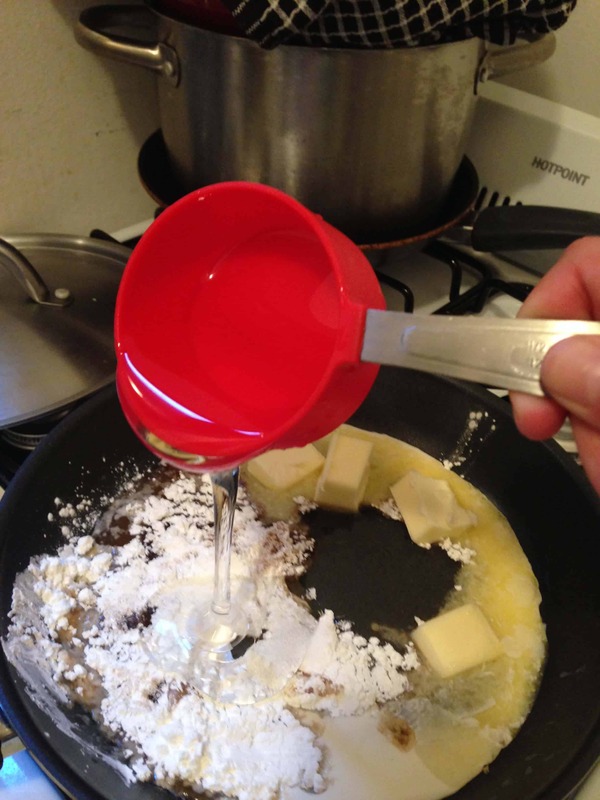 Add the warm milk, 1/4 cup butter, and egg to the flour mixture and mix with hands until ingredients are combined. 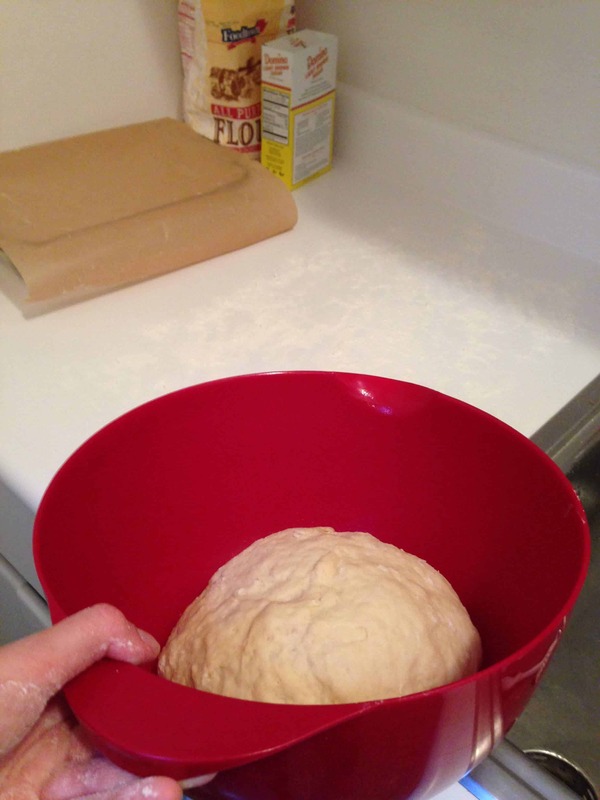 Continue to add the remaining flour, 1/2 cup at a time until the dough begins to leave the sides of the bowl. Place the dough on a lightly floured surface and knead until it is smooth and elastic (about 10 minutes). Rinse out mixing bowl and spray with cooking spray and place dough back into the bowl, turning once to bring greased side of dough up. Cover and let rise in a warm place until the dough has doubled in size (about an hour). 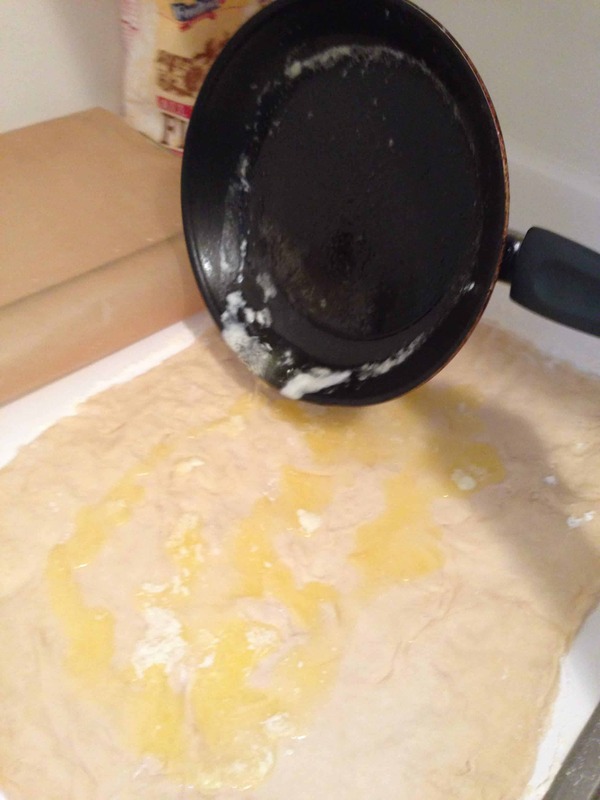 Roll dough into a large rectangle, until it is about 3/4 of a cm thick. Melt the butter and spread over the entire dough rectangle. 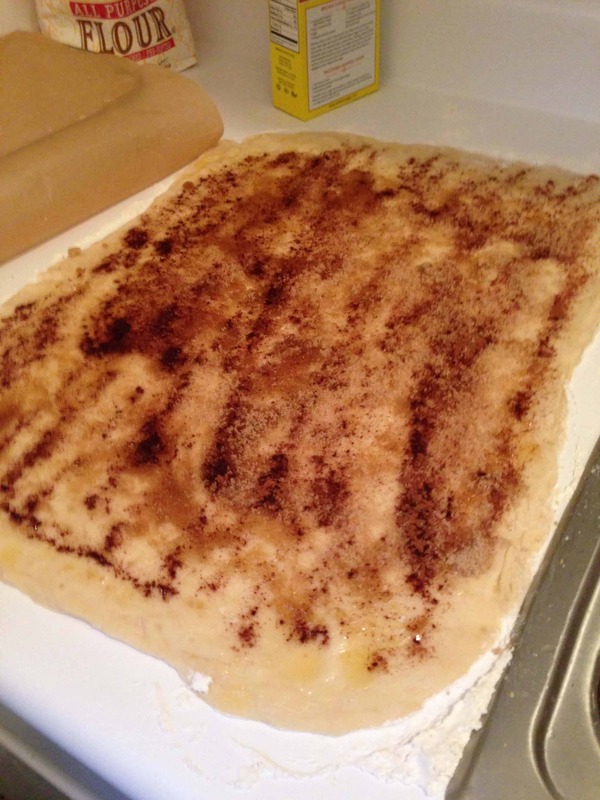 Sprinkle the brown sugar and cinnamon evenly over the dough, then cover with the chopped apple pie filling. 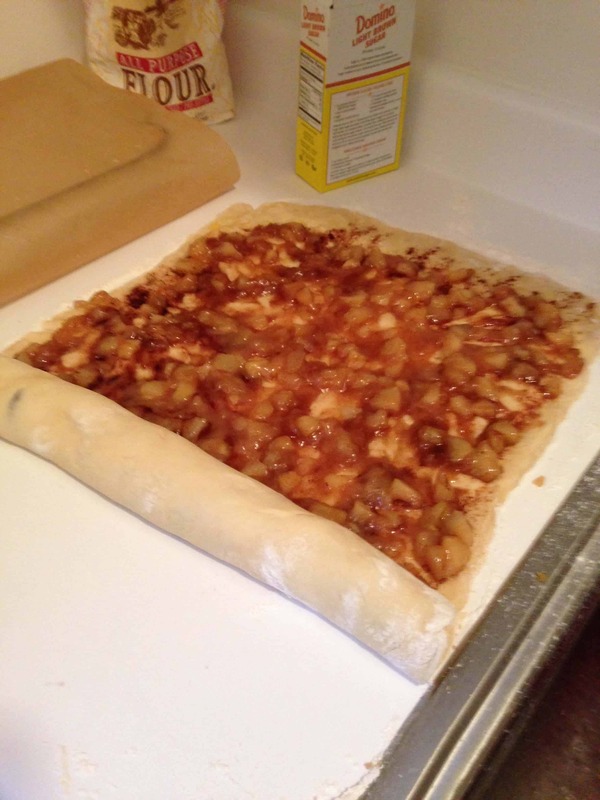 Roll up the dough horizontally from the far side. Roll dough into a tight roll. Cut dough log into 8 equal pieces (you can cut it into more peices if you want smaller cinnamon rolls), and place in a greased pan, leaving about half an inch between each roll. Cover with greased plastic wrap, and let them rise again (about 30 mins). 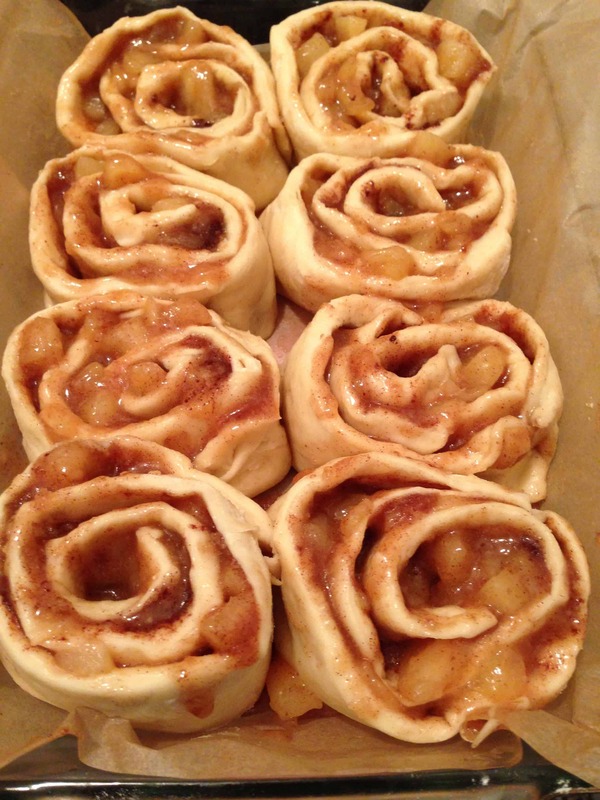 Bake at 350 for 30-35minutes, or until rolls are golden brown and the centers seem firm. With the moist apple filling you will want to make sure they are cooked through or they can get soggy. 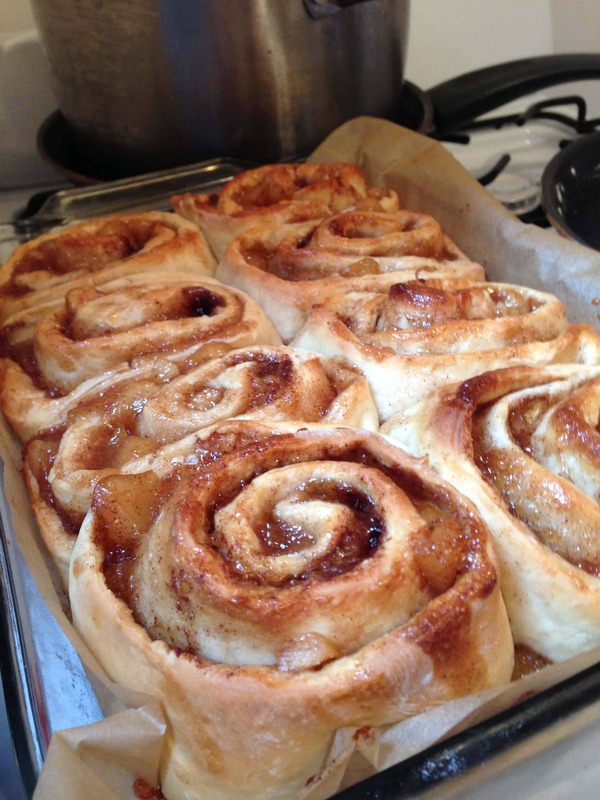 While the rolls are cooking, prepare the frosting and caramel sauce. 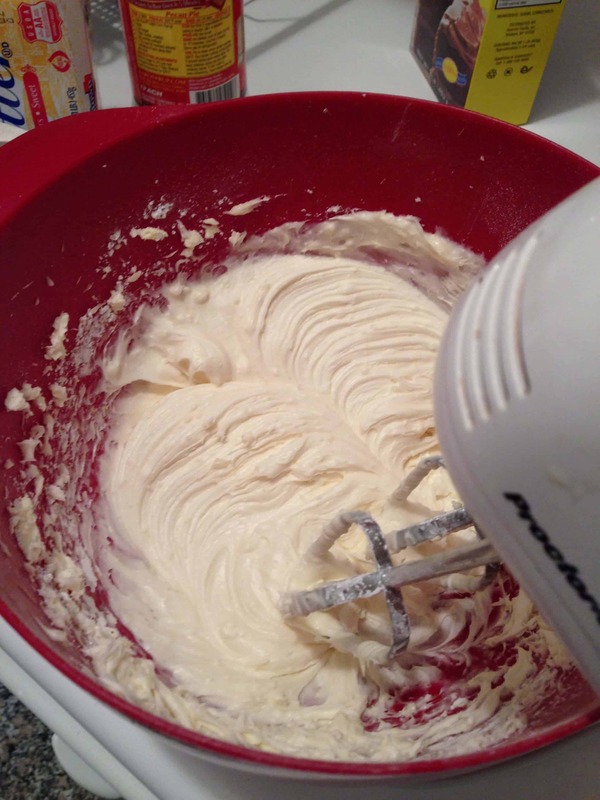 To make the frosting, whip cream cheese and butter together. Stir in the vanilla, corn syrup and lemon juice, and then mix in the powdered sugar. For the caramel sauce, combine brown sugar and corn starch in a saucepan. Add the remaining ingredients and heat on medium. Stir continuously, and cook until thickened (about 10 minutes). 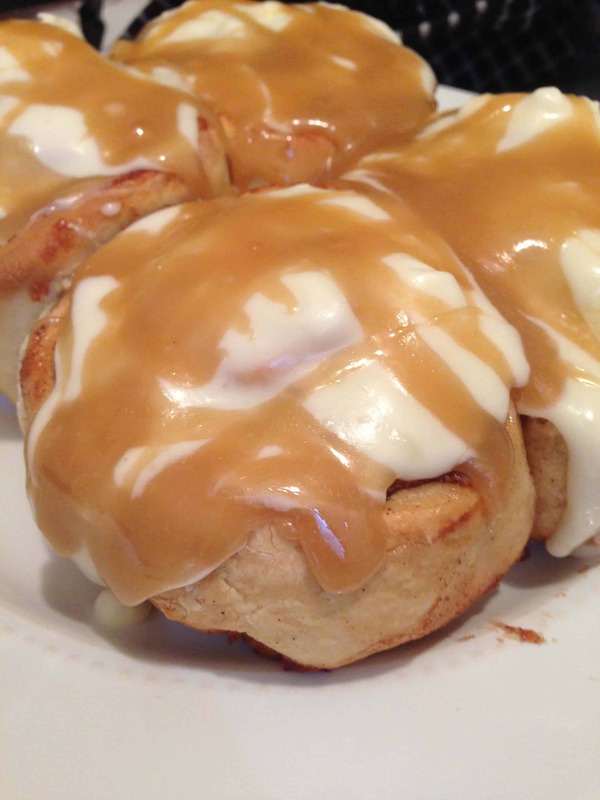 Drizzle the warm caramel sauce over the rolls and serve. My team loved them, and I was really pleased with the way they turned out!